A senior Iranian military official has claimed that Tehran foiled an attempt by Israeli spies to assassinate a scientist working for Iran’s nuclear program. In a report filed on Saturday, Iran’s semi-official Fars News Agency quoted Colonel Yaqoub Baqeri saying that the Iranian Revolutionary Guards Corps (IRGC) had managed to prevent Israel from killing the scientist “during the last two years”. 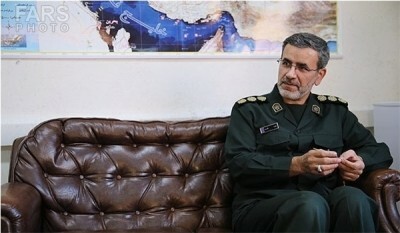 Baqeri is deputy chief liaison officer in the air force division of the IRGC, a branch of Iran’s armed forces dedicated to protecting and furthering the goals of the 1979 Islamic Revolution. Baqueri told Fars, which is known to have strong links with the IRGC, that Israel’s covert-action agency, the Mossad, had been “trying hard to assassinate an Iranian nuclear scientist”, but that the well-timed involvement of the IRGC had “thwarted the terrorist operation”. At least five Iranian nuclear scientists have been targeted by unknown assailants since 2007, when Ardeshire Hassanpour, who worked at Iran’s Isfahan nuclear facility, was found dead in his Tehran apartment, allegedly having suffocated in his sleep from fumes from a faulty gas pipe. Another Iranian nuclear scientist, Shahram Amiri, disappeared in 2009, while Masoud Ali Mohammadi, described by the Iranian government as a “dedicated revolutionary professor”, was killed in 2010 by a remotely controlled explosive device that had been planted at the entrance of his residence. Later that year, two near-simultaneous bomb attacks killed Majid Shahriari and injured Fereydoon Abbasi Davan, nuclear researchers and professors at the Shahid Beheshti University. The two were attacked in separate incidents by motorcyclists who targeted them during the morning rush hour in Tehran as they were driving to work. The assailants attached small bombs to the car surfaces of their targets and detonated them from a relatively safe distance before speeding away through heavy traffic. The Fars News Agency report also claimed that Iran’s intelligence agencies had uncovered secret training bases run by the Mossad and located “within the territories of one of Iran’s western neighbors”, in which teams of assassins were allegedly being “trained and assisted” by the Israelis. In 2012, Israel’s two leading intelligence correspondents, Dan Raviv and Yossi Melman, claimed in their book Spies Against Armageddon: Inside Israel’s Secret Wars, that the “decapitation program” against the Iranian nuclear effort was led by Israel with the expressed but passive endorsement of the United States.